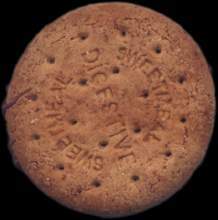 Quite simply - we are a group dedicated to appreciating biscuits. The type of biscuit depends on personal preference, but we like to think that we have had the pleasure of experiencing many biscuits from all corners of the world. Obviously, none of our members (of whom most are currently under Non Disclosure Acts, due to the very secretive new biscuit tasting laboratories that are scattered among Africa's finest vineries) have tasted every biscuit in the world, as this would indeed mean invading residential houses, and snaffling biscuits created by loving grand parents, for their family and possibly grand children. However, this aside: we believe that we are world leaders in biscuit appreciation.